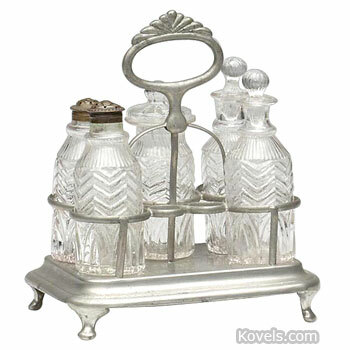 Castor sets holding just salt and pepper castors were used in the seventeenth century. 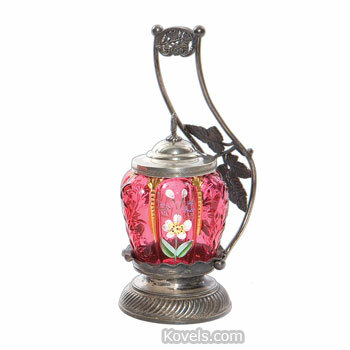 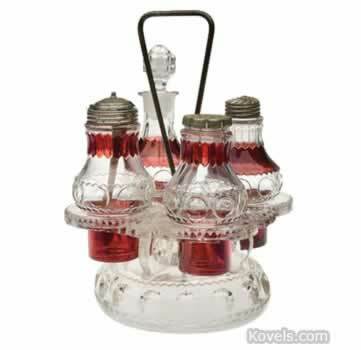 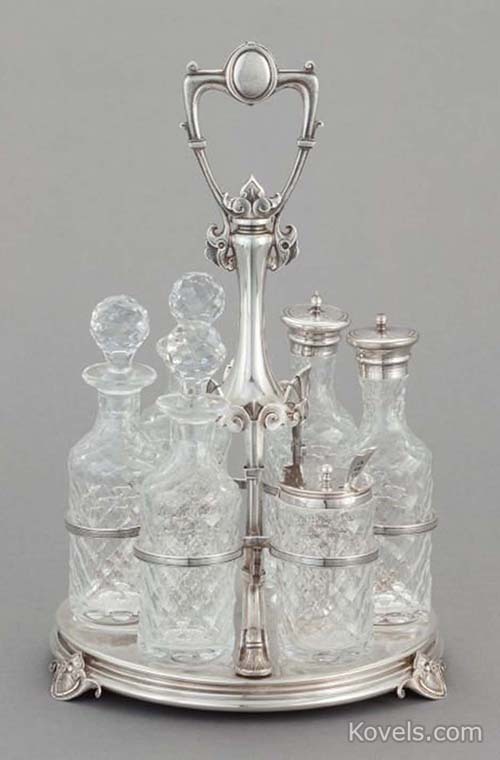 The sugar castor, mustard pot, spice dredger (shaker), bottles for vinegar and oil, and other spice holders became popular by the eighteenth century. 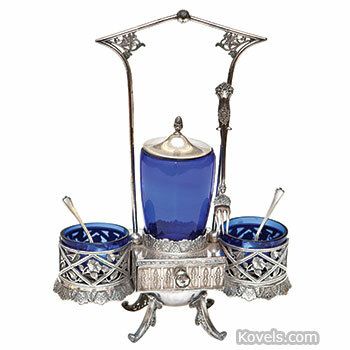 These sets were usually made of sterling silver with glass bottles. 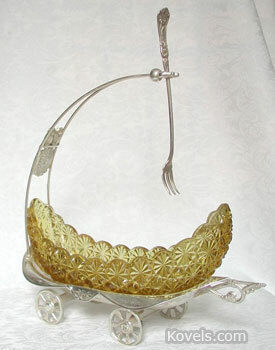 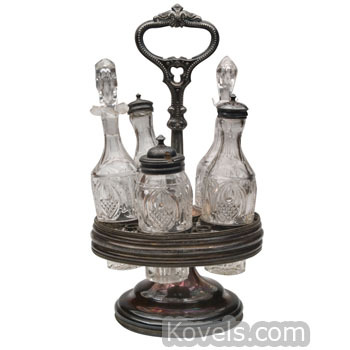 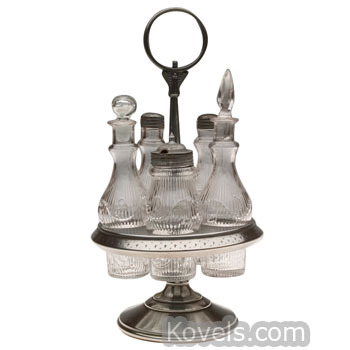 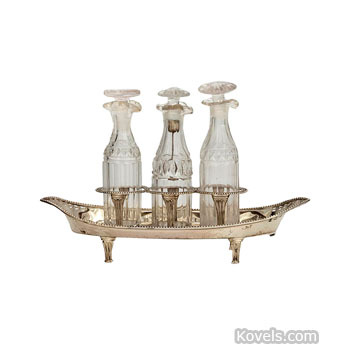 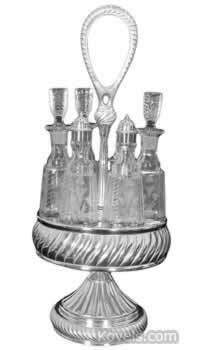 The American Victorian castor set, the type most collected today, was made of silver plated Britannia metal. 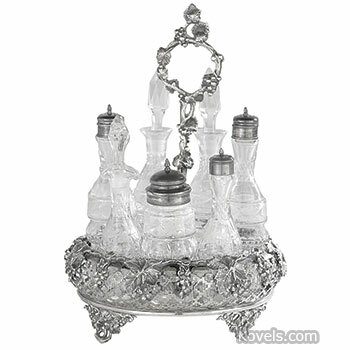 A small number of very fancy castor sets were made with cruets and spice holders plus figurines—even a bell to ring for a servant. 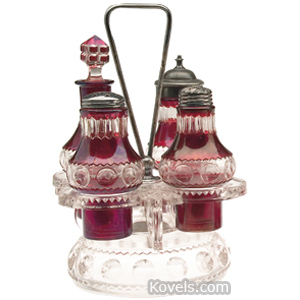 Colored glass bottles were introduced after the Civil War. 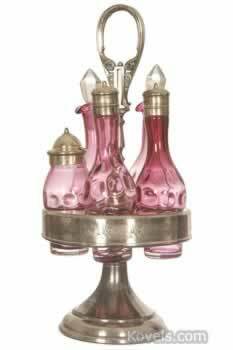 The sets were out of fashion by World War I. 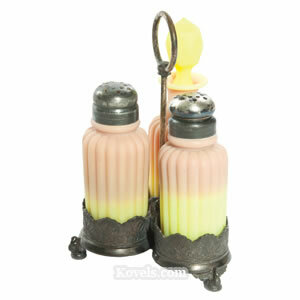 Be careful when buying sets with colored bottles; many are reproductions. 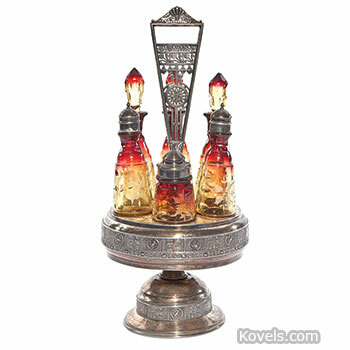 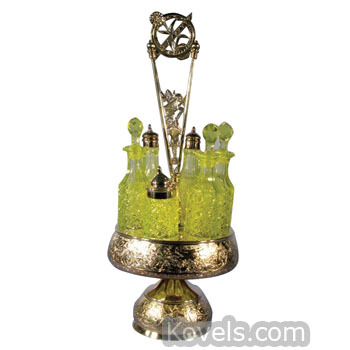 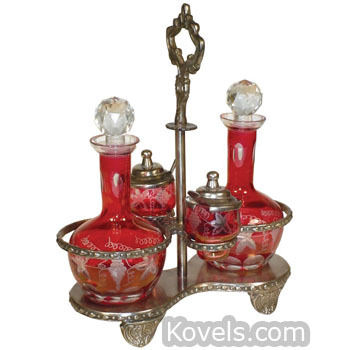 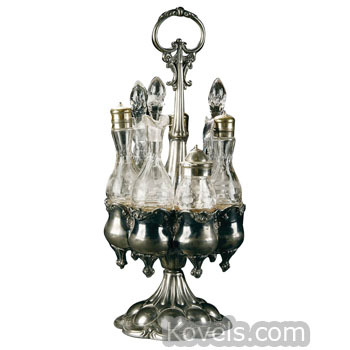 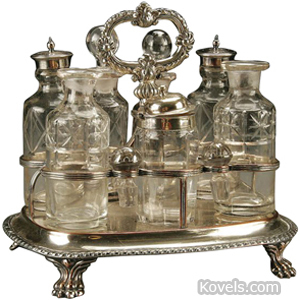 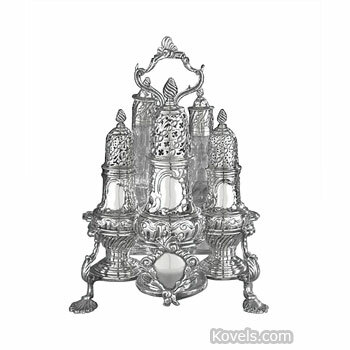 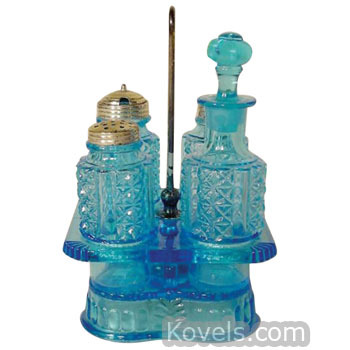 Other castor sets may be listed in various porcelain and glass categories.